After a week of Battle Buses, Royal Albert Halls and Fleur's dad doing a dance it was time for the singing to do the talking in The X-Factor final. The big news going in was that Mel B had been hospitalised with exhaustion meaning that former judge Tulisa was going to take her place. 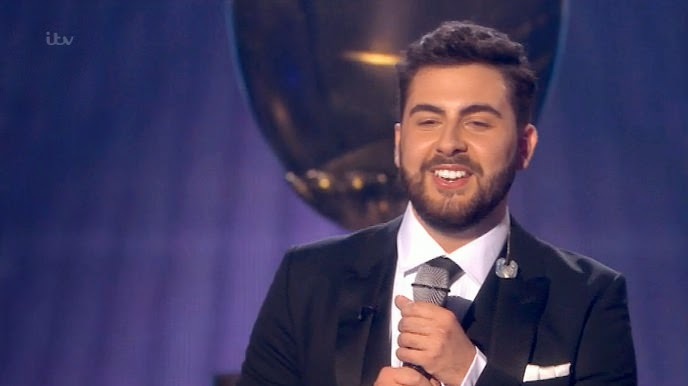 Whilst I have no problem with that it was odd seeing Tulisa as Andrea's mentor for the evening and her nerves meant that the Italian didn't have the passionate intro that he deserved. And, despite being given the backing of Aldo Zilli, Andrea was given the bronze medal after being voted out at the end of the show. I'm still in two minds whether I want Fleur to win as the runners-up tend to achieve more success than the winners. 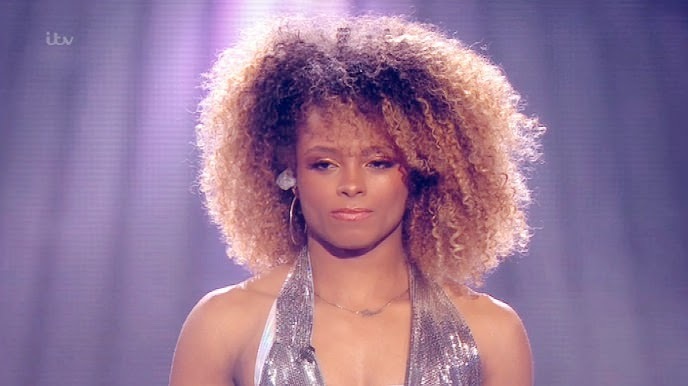 However, with her cover of the Macklemore hit, Fleur proved that she is going to emerge as the star of the competition in this beautifully choreographed performance. The only thing I was a little worried about was the fact that Fleur's battle bus appeared to be on fire as she and the backing dancers gleefully skipped around it. 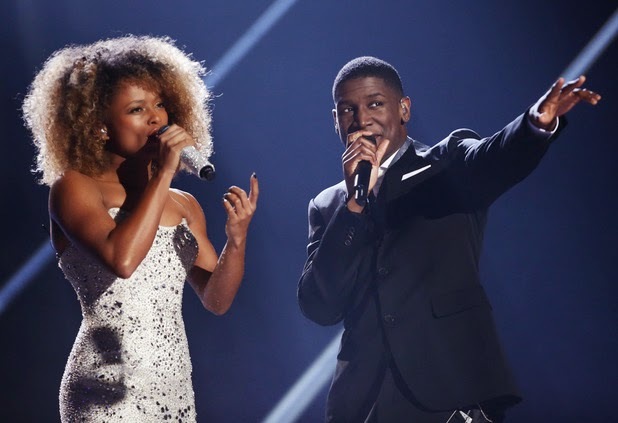 Whilst I don't believe the fact that Labrinth asked to work with Fleur, it was great to see an actual duet being performed as part of the collaboration round. Although Labrinth appeared to be a little off at times it was understandable seeing as he forewent dental surgery to come and support Fleur. Overall this was a lovely duet and it demonstrated that Fleur can belt out a ballad as well as she can rap and dance her way around the stage. I've been critical of Andrea in the past but I felt that the final showed him in a good light and he actually found his own voice during this performance. Andrea pumped plenty of energy into the song and this made for one of his most exciting turns in the competition. 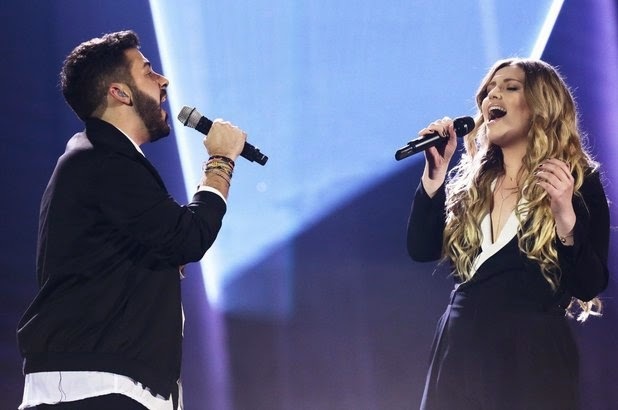 It's a shame that Andrea hasn't been allowed to sing more up-tempo numbers as his duet with former X-Factor contestant Ella showed that he was more than just a ballad specialist. Andrea also looked like he was having fun during this performance and he and Ella's vocals complemented each other perfectly. I'm surprised that Simon thought that having Ben singing Ed Sheeran's song once again was a good idea seeing as how he murdered it a couple of weeks back. Whilst I can understand how Sheeran's endorsement of Ben will help him in the long run, I felt that the latter looked out of his depth especially when performing alongside a seasoned performer. 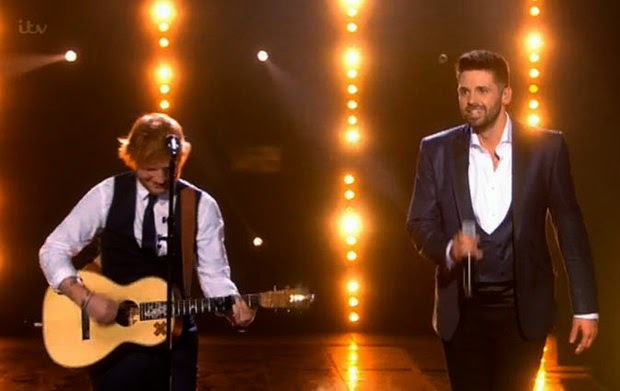 Thankfully, for most of the song, Ben couldn't be heard meaning that this was essentially an Ed Sheeran performance albeit one with a rather enthusiastic backing singer. I felt sorry for Ben as this Imagine Dragons hit didn't really suit his style and as a result made for a rather lacklustre opening to the show. The fact that the most memorable thing about it was Ben trapped in a perspex box speaks volumes about his singing prowess during the course of this song. As this is my final chart I want to take a moment to thank those who have read over the past couple of months. I've found this series to be quite underwhelming on the whole and feel that there has to be several changes made if The X-Factor is going to return to form. But as for now I'm putting the bold prediction out there that Ben wins but Fleur goes on to become the bigger star of the two.